Clip it. Ship it. Use it Again. Save time, money and floor space with reusable wooden crates. No more nailing or screwing. Just attach durable metal clips with a rubber mallet. Pop off the clips on these collapsible wooden crates to store in less space. Clip crates fit almost any requirement. Custom crates sized from 2 feet to 10 feet or more. Clip crates are packaged in ready-to-assemble kits. Every part you need for easy assembly is delivered in our all-inclusive kits. Heavy-duty steel clips and specially-manufactured crate components make it easy to ship and protect your high-value equipment and rolled products. Our clip crates have been used to safely transport electronics, rolled products, textiles, medical devices, automotive parts and other high-value products. While not all clip crates are identical in material or design, they all snap together in quick order. See for yourself in our video demonstration. These durable wooden shipping crates feature a block style bottom deck with 4-way entry. Easily move with a pallet jack or fork truck. Safely stack clip crates or use in your racking system. Replacement clips available. Need to export? 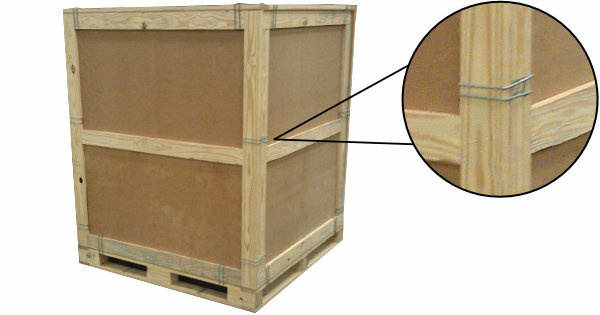 Clip crates can be manufactured in compliance with ISPM-15 standards for international trade. 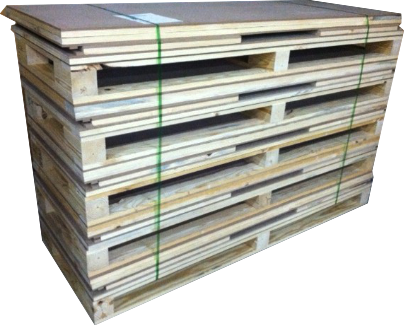 Made with heat-treated lumber to eliminate the risk of wood pests, these crates can be used again as part of a packaging return program. Ready to Clip It and Ship It? Make the switch to Clip Crates today. Nice. You're on your way to a better crate.